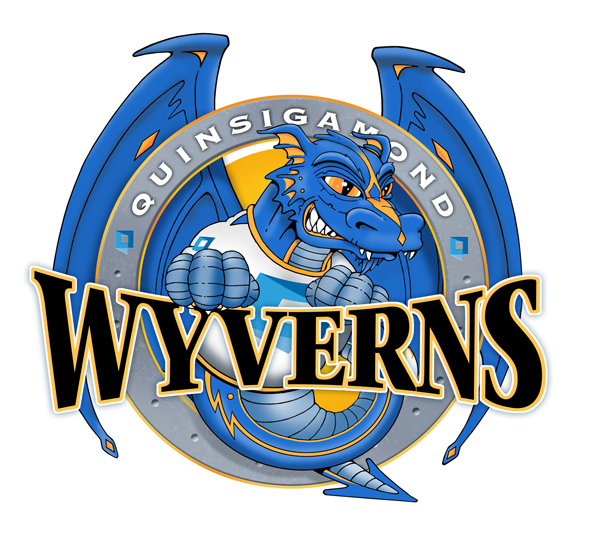 Comment: Quinsigamond is a mouthful, no doubt about it, and when you combine that memorable school name with the memorable team name Wyverns you have got the kind of magic that Balladeer’s Blog loves! This institution has a cool name, cool logo and a nationwide reputation for providing quality education! And if you’re wondering the Wyvern is NOT a dragon but is simply a “dragon-LIKE creature”. Eight Quinsigamond baseball players have been drafted by Major League Baseball! With a name like that Wyverns they should start a Quidditch team. Ha! I guess you’re right! Awesome name! Real Game of Thrones!